Houston, Texas U.S.A., 2019-Mar-02 — /REAL TIME PRESS RELEASE/ — Dousic Media Group (DMG), a Houston based Company with affiliated offices in Punjab and soon to be registered in Singapore, is set to launch its new Dousic Social Platform at the South by Southwest (SXSW) Music Festival in Austin, Texas between March 10th thru 13th, 2019, located at Booth No. 1239, Halls 2-5 in the Austin Convention, where the newly upgraded Dousic website and App will be unveiled. Dousic is an interactive social media platform that engages users with a diverse discovery experience. In the Dousic community the public can personalize their content and creators can monetize their products. “With Dousic we wanted to create a social media platform for people like photographers, models, authors and musicians, so that they have total control of their destiny by owning their brands and products via the website and the App. In addition, Dousic is a fully functioning social media platform giving users a wide variety of connectivity such as chat, audio or video calls, all in one convenient location”, said Michael Ferguson, DMG Executive Vice President/Founder. Following on from SXSW, our future website and App enhancements will ensure Dousic is a place where Creators maintain full ownership and control, giving them stronger leverage when in negotiations with Record Labels. Dousic’s Mission is to provide a global hub for an interactive and personalized entertainment experience. We are committed to helping Indie Creators reach their full potential. Vancouver, BC, Canada, 2018-Nov-06 — /REAL TIME PRESS RELEASE/ — November is world diabetes month. 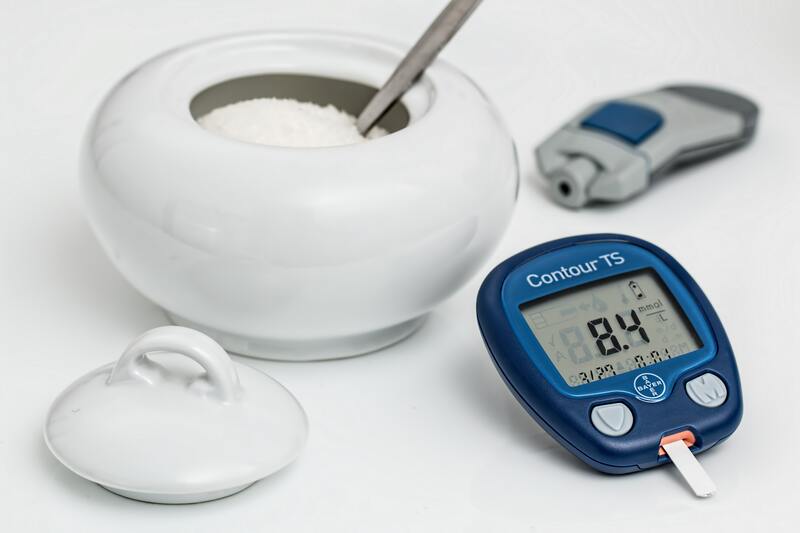 When people are diagnosed type 2 diabetic, the first line of defense is the use of prescription drugs in order to manage the diabetes. 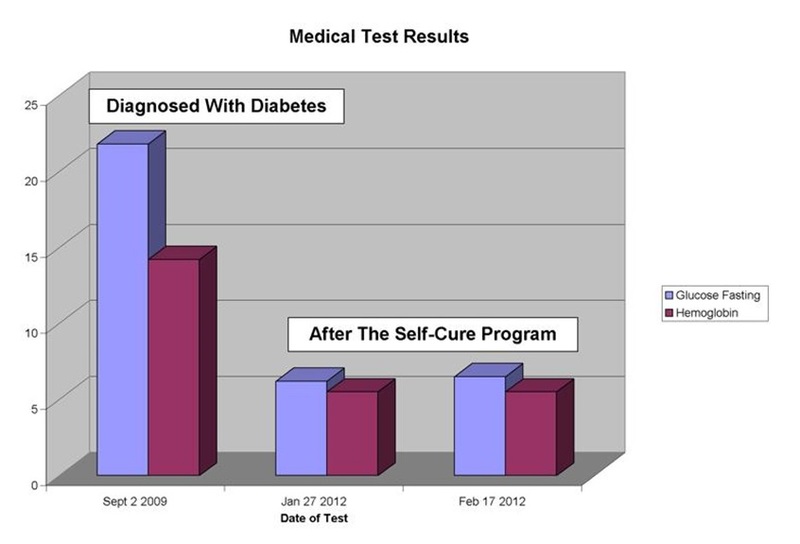 But what victims of pre-diabetes and type 2 diabetes are not aware of is that research performed by Just For Diabetics website founder, Ernest Quansah, shows that when patients are managing their pre-diabetes or type 2 diabetes, it is the best opportunity for them to reverse it and be weaned off the prescription drugs. The research results are evidence based. Many doctors and institutions now agree that this is the case. Recently, the University of British Columbia, in conjunction with Pharmasave, a drugstore chain, began offering obese people and type 2 diabetics a diet plan aimed at reversal of pre-diabetes and type 2 diabetes. The cost of their plan is $500 a month. The diet plan calls for no consumption of refined sugar, potatoes, fruit, fruit juices, sweet drinks of any kind, rice, bread, and consumption of cooked vegetables for lunch, cooked chicken breast for dinner and so on. Many of the participants are seniors, the overweight, or obese. After several thousand of dollars spent, many participants lose weight and their doctors take them off their diabetes drugs. The numbers in this chart represent blood sugar count in millimoles per litre (mmol/L). Ernest Quansah is a type 2 diabetes Lifestyle Strategist, diabetes educator, keynote speaker, and the author of Diabetics Journey. He is the founder of Just For Diabetics. He is available for radio, press, and TV interviews, as well as speaking engagements. Oakland, California, USA, 2018-Oct-10 — /REAL RIME PRESS RELEASE/ — Smart Scale Co. announced today its October 11th launch at New West Summit of the world’s first IoT smart scale container for the cannabis industry. The patent pending “Stashaweigh™” is an industry-forward weighing device that utilizes the ease of Bluetooth connectivity via a smartphone app to make tracking and saving your cannabis history seamless. Stashaweigh™ is the brainchild of inventor and entrepreneur Josh Lee, Founder and CEO of Smart Scale Co., which he created in 2017. Lee, in conjunction with a team of technology engineers, has a vision for smart data-sharing, powered by machine learning and advanced AI, that he hopes will shake up the cannabis market. Stashaweigh™ allows its users to track and manage usage history through their smartphones, and gives accurate weight, date, and time feedback while storing precise dosage history during each session. The company will use machine learning and AI to track and predict user habits from around the country that give dispensaries, growers, scientists, and medical professionals tools to more accurately respond to consumer needs and trends. Stashaweigh™ is the first container in a line of expected smart scale devices that make using, selling, prescribing, and growing cannabis smarter and more effective. The sleek new scale will debut on October 11th and should be available for purchase by the end of 2018. Melbourne, Australia, 2018-Aug-15 — /REAL TIME PRESS RELEASE/ — Zuuse has entered into an agreement to acquire GCPay.com (GCPay), a leading North American provider of cloud collaboration software aimed at streamlining the payment applications process in the building and construction industry. Zuuse is a leading global software provider in the construction and building operations sector. Zuuse’s construction solutions handle payment applications, seamlessly carried through to building operations with asset and facilities management, BIM in FM, and lifecycle costing and management. With over 4,000 asset owner, operator, general contractor and subcontractor customers worldwide, Zuuse offers software solutions which are revolutionizing the performance of assets from beginning to end – and all the time in between. Zuuse is headquartered in Melbourne, Australia, and has operations throughout Australia, New Zealand, the UK, and the USA. GCPay is a leading North American provider of cloud collaboration software aimed at streamlining the payment application process in the building and construction industry. GCPay automates construction subcontract management processes, specifically invoicing, compliance and lien waivers. With integration partners such as Viewpoint, Sage, and payment processor AvidXchange, GCPay cuts costs, improves compliance and reduces risk by streamlining subcontractor management and payment. Founded in 2002, GCPay is headquartered in Richmond, VA, USA. Charlton, MA, 2018-Jul-12 — /REAL TIME PRESS RELEASE/ — Mr. Michael Pelletz, Founder and CEO of Fantasy Live Trivia, Inc.
1) Could you briefly tell us about the Founders? Michael Pelletz is a very successful entrepreneur. Michael started a global rideshare company geared towards women safety and empowerment 2 years ago called Chariot For Women, which is now called SAFR that has become the safest rideshare company in the industry. Michael is an expert in turning ideas into reality as well as raising millions of dollars in funds and has some of the best media connections in the US. These skills and connections will ensure the success of Fantasy Trivia Live. Fantasy Trivia Live is his brainchild, and like his rideshare company, he will stop at nothing to make Fantasy Trivia Live the most engaging and profitable App in the industry. Here is my first inspiration: In February of 2016 I founded a company that is based on women’s empowerment. I have been blessed with a very empathetic heart and soul that allows me to truly resonate with men and women across the globe. Although Fantasy Trivia Live is just a gaming App, I knew once again that I wanted our APP to empower women, and boy will it ever. Our hosts are major celebrities. We are providing a platform for these actors/actresses to flaunt their entrepreneurial spirit in a completely new and safe industry. I was a huge fan of one of our competitors and I was sitting down at my couch watching TV at 8:59 pm, ready to start playing at 9. Then, that 9pm supposed start turned into 9:03 and then 9:04 and then 9:05. I started to get bored. I then glance back at my phone and I notice that the game is finally about to begin. Well….not for me!! It immediately buffered and kept buffering until it kicked me out. I was done with that APP. Within 1 minute of this happening I knew I had to do something better. Fantasy Trivia Live was born. My number 1 priority was to have an app that would stream flawlessly. Fantasy Trivia Live is the most engaging adults only Live Trivia App in the world. Our features, which I am not allowed to discuss will truly blow your mind. We are utilizing the most engaging aspects of the most popular Apps currently available. Unlike other Trivia Apps, you don’t have to be good at Trivia to have an opportunity to win lots of cash and prizes. The world is your oyster and you never know what treasures await!!! 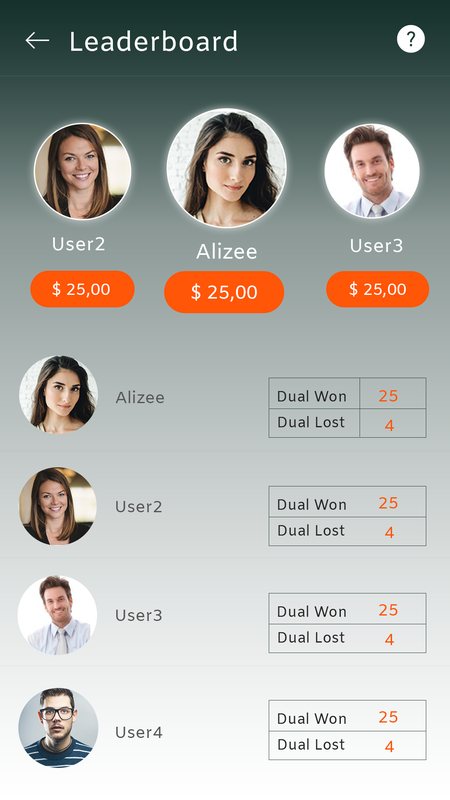 The user will have opportunities to stay on the Fantasy Trivia Live app day and night, and we have taken every step to make it as visually stimulating as possible. 4) Who are your Targeted audience? Anyone over the age of 18 who owns a phone. Period!! 5) What type of strategies do you think is valuable to take company to the next level? I have spent the last 2 years learning what not do when it comes to designing and building a successful and engaging app. Market research is key. Fortunately for Fantasy Trivia Live our competitors have not adjusted to their flaws, which has opened up such a tremendous opportunity to gain control of the Live Trivia market very quickly. 6) Tell us about your amazing team members? I can’t. LOL!!! Our lawyers will not allow me to say who they are until we are ready. All I can say is, we have the most beautiful, talented and male and female hosts that have tens of millions of followers on social media. It’s unfortunate, but The fans rarely have an opportunity to interact with celebrities live. With Fantasy Trivia Live that will happen almost on a daily basis. What is the big picture of your company? Here is our mission statement. This is what Fantasy Trivia Live is all about. Our mission is to bring together the trivia gaming community and the primary gaming community into a single platform allowing a highly profitable environment to evolve, grow, and develop, leading to multiple and ever expanding profit centers and revenue streams. Make BOAT LOADS of cash, I mean an obscene amount, by and island and retire. Just kidding. I want to live a wonderful life with my beautiful family. 7) What is your best motivation line that inspires you? 8) What were the key Learning’s from your journey that you would like to share with our audience? I could write a book about starting a potential billion dollar company and how lonely that can be. Unfortunately, Greed and Power can get to people’s ego and the people who you thought were your friends are not your friends anymore. Then people enter your life and pretend to be a friend, when all they really want is the power or money. That is probably the hardest lesson I learned from trying to do something very special. Every day I walk around with a smile on my face and hold my head up high and I sleep very soundly at night knowing I would never treat people that way. Life will always throw you lemons and you have to be able to make lemonade, which I am lucky enough to have done throughout my life. 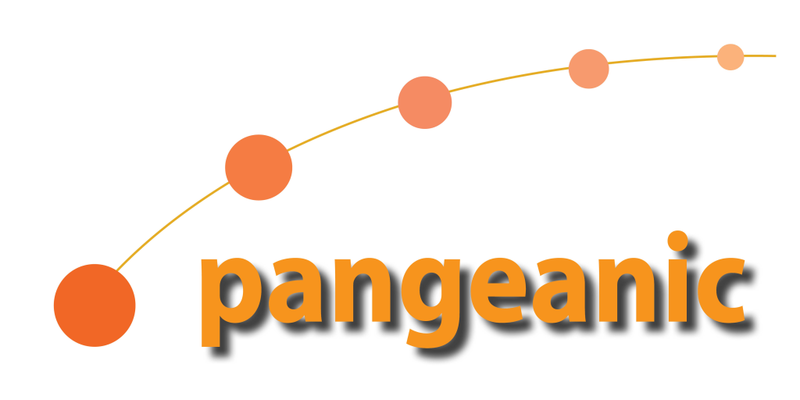 Could you share details about source of funding, revenue, client acquisition model and statistics so far? That is all internal conversations, but what I can tell you is that raising money is my favourite part of the startup process. If you have a great idea, the money will follow. Please visit our website at www.fantasy-trivia.com and you will have an opportunity to see our brand ambassador/host. She is truly the biggest gaming nerd I have ever met. That is a huge compliment to her. She is truly brilliant and beautiful on the inside and out!!! After you answer our Trivia question you will immediately have an opportunity to sign up for our newsletter. We will begin updating this news letter in the coming weeks. Please sign up and get ready for most engaging 18+ Live Trivia App in the industry coming on October 15th, 2018!! 10) Any other information about your startup that you’d like to share with our readers? Please Tell everyone about us. The more players we have from day one, the more fun it will be and the more money we can give away. A percentage of every purchase from our optional In APP purchases go directly to making the cash prize larger. Get ready for Fantasy Trivia Live!!! Washington, DC, USA, 2018-Jun-13 — /Real Time Press Release/ — The 1990’s saw an internet boom where anything that had a “dot com” at the end was golden. Soon enough though, people began to wake up and realize that unless the “dot coms” became easy to use and universally applicable, all those fever dreams of internet enthusiasts would forever remain just that – dreams. Eventually, email communication matured, America Online begat many long-distance romances (and even a famous rom-com), and MySpace became a worldwide phenomenon. Now, in 2018, we are finding ourselves in the midst of a similar era – complete with blazing-fast growth and unprecedented opportunities. And once more, the blockchain enthusiasts’ dreams are crashing against real-world usability and adaptability challenges. And that’s exactly why the newly-announced partnership between Cairo-based RedCab and Washington DC-bredWishKnish stands to bring decentralized commerce another step (or leap) closer to full retailization, putting a friendly, human face on a set of often-complicated technologies and making them accessible to… well, literally anyone. Whether it’s a couple on a romantic date searching for a cab, or a grandmother with a bad back looking for someone to deliver her groceries and medicine, or even a tourist hoping to use their home currency to make a local purchase, the process needs to be quick, simple, and coupled with a coin-agnostic settlement solution to match. The latest statistics shows a drastic reduction in patience for customers expecting deliveries of any goods and services ordered online, and while the blockchain-powered businesses seek specifically to reduce the inefficiencies inherent in legacy infrastructures, the way to onboard customers and get them comfortable with a new paradigm is a rarely-explored concept. With exciting marketing and P2P options opening for the companies entering this partnership, the future of retailized blockchain settlement and commerce is now looking a lot brighter. 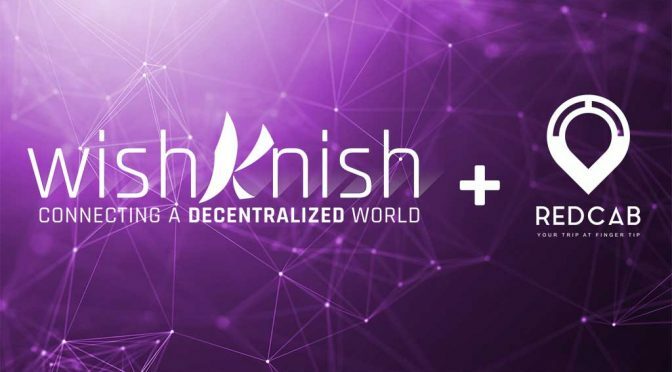 WishKnish is a next-generation unifying ledger architecture built for applications that are scalable globally; Effortless e-commerce, censorship-free communication, and unprecedented simplicity of connecting legacy e-stores, communities, and enterprise systems in a decentralized world. RedCab LLC has been observing the transformation of car sharing and transportation industry during the past 8 years from technical and social side. For the past year the research has started by the founders to build the first global transportation community and introduce a new business model based on sharing economy and community development, and on the other side build a profitable business based on data monetization from Geo Ads. RedCab LLC believes in the power of community when they have the right tools and the firm operation expansion becomes a matter of time. It’s a take on the untapped sensibilities of Urban Indians fighting globalization with globalization—in a pretty romantic context. 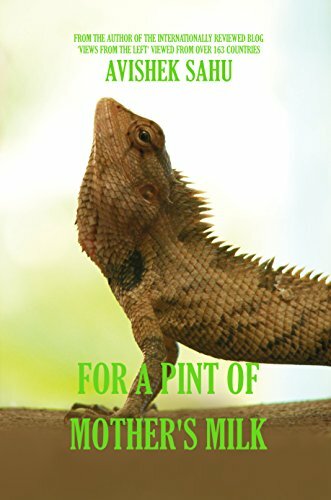 Bhubaneswar, Orissa, India, 2018-Jun-01 — /EPR Network/ — ‘For A Pint of Mother’s Milk’ by Avishek Sahu (ISBN-13: 978-1717006363) is an intriguing take on the unexplored sensibilities of Urban Indians fighting to eke out a respectable living within mainstream society’s stringent restrictions on brandishing the urge for power, pelf, and authority. You could delve into it to sway to the seduction of a woman’s rebellion, unleashed with the most surreptitiously coddled, and wickedly nurtured, dismay. Available in Paperback on major websites and Physical Bookstores that source it wholesale from CreateSpace or Ingram. Also available as Kindle version(ASIN: B01BW43VP8) on multiple Amazon sites. The book has been well received on Goodreads by a predominantly American Audience.